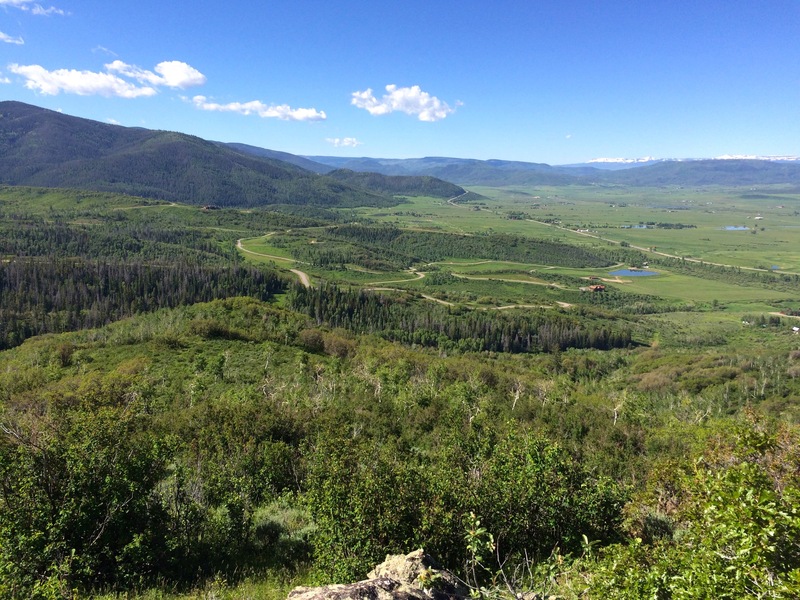 On my trip back to the Northwest an important stop for me is Steamboat Springs, CO. An old Indian legend of the Yampa was that one returns to live in the Yampa Valley 3 times. That legend was true for me. First as a Ski Bum living in Ski Time Square next to the Tugboat Saloon. I was a refugee from working at Snow Mountain Ranch and came to Steamboat with a job at the Holiday Inn in 1976. Of course this evolved after serving as a Presbyterian missionary working at a Chicano Day Care, “House of Neighborly Service” in Brighton, CO, during the summer of 76. Well the first stop in Steamboat ended when it did not snow that winter and they closed the mountain (soon there after snow making was installed). The second visit was really the beginning of the computer career. I was a chemist at a electric power plant in Gary, IN, making a lot of money in a strike situation. 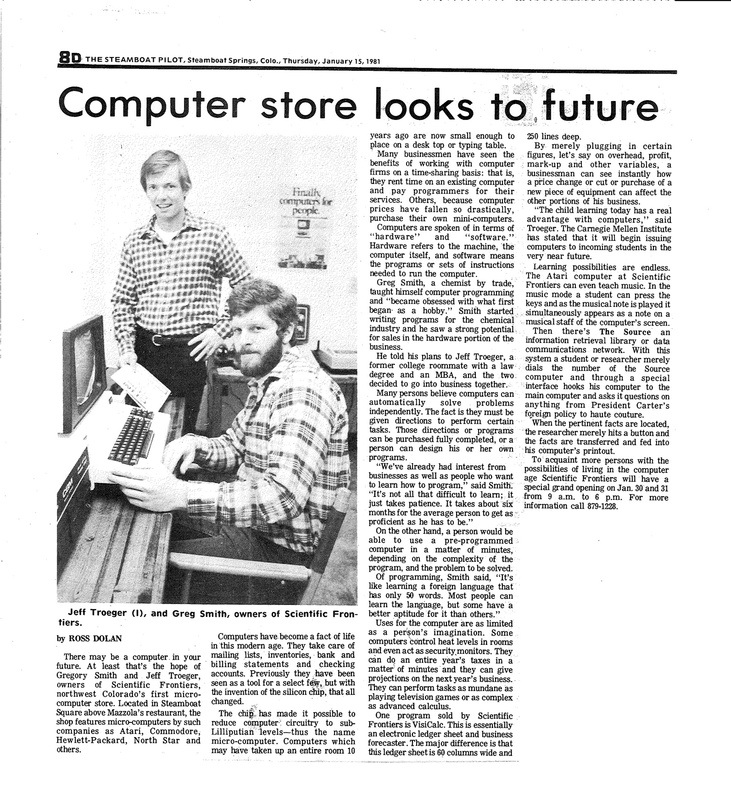 I had purchased an Apple II and was obsessed with it. So I called my college room mate, Jeff Troeger, who was just finishing up his MBA and Law degree at IU. I asked him if he wanted to start a computer store in Steamboat Springs, CO. He weighed his alternative of working at the family business in South Bend, IN or move to Steamboat. Jeff is still here in Steamboat. My final move to Steamboat occurred in 1984 after leaving the Oil Shale, UniCal Parachute Creek Project, to work for at the time, ACZ Inc. By this time I was a legitimate computer guy who was hired to be the I head of IT for this mine engineering consulting company with a commercial environmental lab. Today I am staying with one of last remaining mine engineers from ACZ living in Steamboat, Jerry Nettleton. My visit here has been fabulous. My dog Abby has regenerated her appetite and is loving the opportunity to get back to her normal 22 hours of sleep per day. My first day involved hitting all the memorable sites. 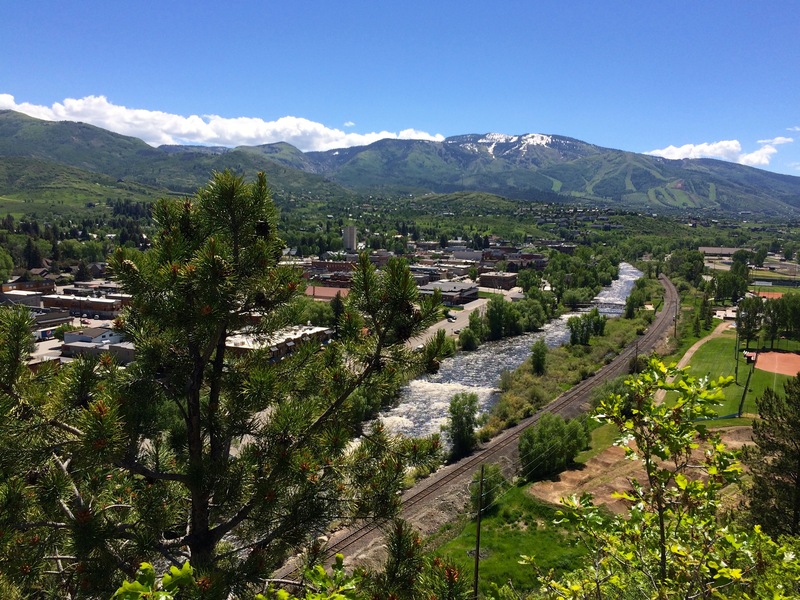 Views above the town, Fish Creek Falls, and exploring the new micro breweries. I hooked up with Jeff and he invited me to take his favorite hike on day 2 from his house up to the Thunderhead Lodge (top of gondola) on Mt. Werner. The hike was just what I needed to push the body for the upcoming PCT backpacking. 9.5 miles and 2200″ of vertical that hurt so good. Rainy day today but plan to seek out a few more old friends and do a little memorabilia shopping. On to Walla Walla, WA, tomorrow. Posted on June 10, 2015, in Colorado and tagged ACZ, Fish Creek Falls, Mt. Werner, Parachute Creek, Scientific Frontiers, Steamboat Springs, Water Fall, Yampa. Bookmark the permalink. Leave a comment.